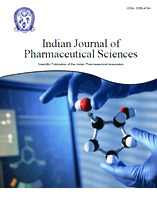 The Indian Journal of Pharmaceutical Sciences (IJPS) is a bi-monthly Journal, which publishes original research work that contributes significantly to further the scientific knowledge in Pharmaceutical Sciences (Pharmaceutical Technology, Pharmaceutics, Biopharmaceutics, Pharmacokinetics, Pharmaceutical/Medicinal Chemistry, Computational Chemistry and Molecular Drug Design, Pharmacognosy and Phytochemistry, Pharmacology and Therapeutics, Pharmaceutical Analysis, Pharmacy Practice, Clinical and Hospital Pharmacy, Pharmacovigilance, Pharmacoepidemiology, Pharmacoeconomics, Drug Information, Patient Counselling, Adverse Drug Reactions Monitoring, Medication Errors, Medication Optimization, Medication Therapy Management, Cell Biology, Genomics and Proteomics, Pharmacogenomics, Bioinformatics and Biotechnology of Pharmaceutical Interest). The Journal publishes original research work either as a Full Research Paper or as a Short Communication. Review Articles on current topics in Pharmaceutical Sciences are also considered for publication by the Journal. 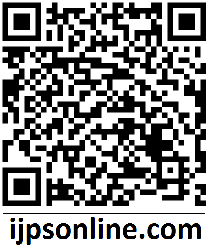 IJPS uses Editorial Tracking system as online manuscript submission and review system. Manuscripts must be submitted online by the corresponding author at http://www.ijpsonline.com/editorialtracking/journal/SubmitManuscript.php or should be mailed at [email protected]. You may go to the author section, fill all the details, attach the files and submit. Authors are requested to strictly follow the Journal format while formatting the manuscript. Figures may or may not be included in manuscript body. Figures separately uploaded as .jpeg file with file size restriction of 1 MB will be preferred. The title page and Manuscript body (which includes abstract, text of the manuscript, references, tables and legends for tables and figures.) must meet IJPS format requirements in all respects. Journal does not charge the authors or authors’ institutions for the submission of manuscripts. The Journal charges a levy processing and/or publications of manuscript and for colour reproduction of colour images/photographs/figures, which are applicable only after final acceptance of the manuscript. The details of the charges are given under “levy/processing charges”. Submission of a manuscript to Indian Journal of Pharmaceutical Sciences for publication implies that the same work has not been either published or under consideration for publication in another Journal. Authors, in their cover note to the Editor, have to clearly mention whether the manuscript shall be considered as a Research Paper, Short Communication or Review Article and also confirm that the manuscript has not been submitted to any other Journal for publication. Authors publishing results from in vivo experiments involving animals or humans should state whether due permission for conduction of these experiments was obtained, from the relevant ethics committees, in the Materials and Methods section. In addition, authors wishing to publish research work involving human studies should also send a notary verified letter of approval from the Ethics Committee or the Institutional Review Board. Once a manuscript is received, it is screened thoroughly to evaluate that it is within the scope of the journal, and prepared according to the format, usually followed by a plagiarism check. Manuscripts that fail to conform to the requirements of the journal, as specified under “Instructions to Authors”, will be rejected. Those manuscripts that meet the specified requirements of the journals are subsequently assigned to an Editor for further processing. The Editor assigns a minimum of 3 potential reviewers to access the suitability of the scientific content for publishing. The editor’s decision of acceptance, rejection or request for revision of the manuscript is strictly based on the comments of at least two reviewers. The journal ascertains that the research studies conducted abide by ethical as well as human and animal rights policies. Presentation of approval of Independent Ethics Committee (IEC) or Institutional Review Board (IRB) in case of ethical clearance for clinical studies and Institutional animal ethics committee (IAEC) for animal studies is mandatory. In addition, the editor may choose to notify the host institution as well as the funding agency of the author regarding the breach in ethical policies of conduct of research. In particular, the research studies involving human subjects or human data must have been performed in accordance with the Declaration of Helsinki and must comply with ethics guidelines of Indian Council of Medical Research (ICMR) or appropriate independent or institutional or national ethics committee. The information on this has to be stated clearly in the manuscript. If the study involves experiments on animals, the author/s should clearly state that the experimental study protocol have been approved by the Institutional Animal Ethics Committee (IAEC) constituted as per the guidelines laid by the committee for the purpose of control and supervision of experiments on Animals (CPCSEA). The authors must submit a statement detailing the name of the ethics committee and the reference number wherever required for the final acceptance and publication of the manuscript. The studies performed in countries other than India must comply with ethical guidelines for studies involving human subjects or laboratory animals applicable in those countries. If the research includes any study on humans, it must be stated that prior consent has been taken from the participant. Editors may request the authors to provide the documentation of the formal review and recommendation from the institutional review board or ethics committee responsible for oversight of the study. A conflict of interest arises when the author, reviewer, or editor has any financial or personal interests that may influence the final decision making process. The journal insists on submission to declare about the conflict of interest if any by authors. The author is expected to disclose this before publishing any article. The author should declare that the content submitted to the journal or the similar content under his/her authorship is not submitted for consideration or published elsewhere. 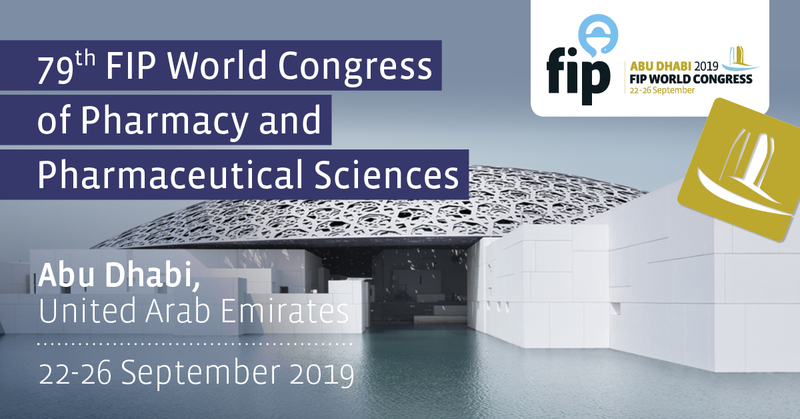 The journal follows a stringent policy against the publication of plagiarised or fraudulent research data in order to maintain the quality of the articles published. The journal encourages the identification of unintended mistakes and subsequent rectification in the form of published erratum in the next issue of the journal along with the page number and the citation of the original article. In cases where the author fails to justify the ethical policies adhered during the research, detection of plagiarism or any other scientific misconduct the journal reserves the right to retract the article. In such cases it publishes the retraction notice in the next issue of the journal. The retracted articles are not considered as part of scientific literature anymore. Manuscripts must be prepared in accordance with “Uniform requirements for Manuscripts submitted to Biomedical Journal” developed by International Committee of Medical Journal Editors (October 2001). Authors desirous of submitting manuscripts for publication to the Indian Journal of Pharmaceutical Sciences are advised to refer to the current issue of the Journal to understand the format and style of papers that get published. Authors are also advised to go through the current set of Instructions to Authors and prepare their manuscripts accordingly. Information should be conveyed in simple language with the correct syntax. Care should be taken to avoid common errors like having abbreviations in the Title or Abstract, beginning a sentence with a numeral, adding “etc.” after a few examples, dropping articles and using “&” instead of ‘and’ in the text. The usage of standard abbreviations and symbols is encouraged. Manuscripts that fail to conform to the requirements of the Journal, as specified under Instructions to Authors, will be rejected outright. Manuscripts should be concisely written and conform to the following general requirements: Manuscripts should be typewritten in double-space in A4 sized sheets, only on one side, with a 2 cm margin on both sides. Research Papers should have more than 17 pages, Review Articles in the range of 17-30 pages and Short Communications up to 17 pages, inclusive of illustrations. Pages should be numbered consecutively, starting with the title page and the matter arranged in the following order: Title page, Abstract, Introduction, Materials and Methods, Results, Discussion or Results and Discussion, Acknowledgements, References, Illustrations (Tables and figures including chemistry schemes along with titles and legends) and figure and Table titles and legends. Abstract should start on a separate page and each table or figure should be on separate sheets. The titles “Abstract” and “Introduction” need not be mentioned. All other section titles should be in capital letters while subtitles in each section shall be in bold face lower case followed by a colon. Title Page - Title page should contain title of the paper in bold face, title case (font size 14), names of the authors in normal face, upper case (font size 12) followed by the address(es) in normal face lower case. The author to whom all correspondence be addressed should be denoted by an asterisk mark. The title should be as short as possible and precisely indicate the nature of the work in the communication. Names of the authors should appear as initials followed by surnames for men and one given-name followed by surname for women. Full names may be given in some instances to avoid confusion. Names should not be prefixed or suffixed by titles or degrees. Names should be followed by the complete postal address or addresses with pin code numbers of the place(s), where the research work has been carried out. At the bottom left corner of the title page, please mention “*Address For correspondence” and provide a functional e-mail address. Address of the corresponding author to whom all correspondence may be sent should be given only if it is different from the address already given under authors’ names. Trivial sub-titles such as ‘Title’, ‘Author’, ‘Address’ or ‘Place of Investigation’ shall not be included in the title page. Title page should be aligned centre except for “*Address For correspondence”. Introduction - Shall start immediately after the Abstract, as the next paragraph, but should be typed in double-space. The Introduction should lead the reader to the importance of the study; tie-up published literature with the aims of the study and clearly states the rationale behind the investigation. Materials and Methods - Shall start as a continuation to introduction on the same page. All important materials used along with their source shall be mentioned. The main methods used shall be briefly described, citing references. Trivial details may be avoided. New methods or substantially modified methods may be described in sufficient detail. The statistical method and the level of significance chosen shall be clearly stated. IJPS prefers to publish work that has been subjected to an appropriate statistical test at one level of significance. Results - All findings presented in tabular or graphical form shall be described in this section. The data should be statistically analyzed and the level of significance stated. Data that is not statistically significant need only to be mentioned in the text - no illustration is necessary. All Tables and figures must have a title or caption and a legend to make them self-explanatory. Results section shall start after materials and methods section on the same page. Discussion - This section should follow results, deal with the interpretation of results, convey how they help increase current understanding of the problem and should be logical. Unsupported hypothesis should be avoided. The Discussion should state the possibilities the results uncover, that need to be further explored. There is no need to include another title such as “Conclusions” at the end of Discussion. Results and discussion of results can also be combined under one section, Results and Discussion. Acknowledgements - Should be given after the text and not in the form of foot-notes. References - Should be numbered consecutively in the order in which they are first mentioned in the text (not in alphabetic order). Identify references in text, tables, and legends by Arabic numerals in superscript in square brackets. References cited only in tables or figure legends should be numbered in accordance with the sequence established by the first identification in the text of the particular table or figure. Use the style of the examples below, which are based on the formats used by the NLM in Index Medicus. The titles of journals should be abbreviated according to the style used in Index Medicus. Use complete name of the journal for non-indexed journals. Avoid using abstracts as references. Information from manuscripts submitted but not accepted should be cited in the text as “unpublished observations” with written permission from the source. Avoid citing a “personal communication” unless it provides essential information not available from a public source, in which case the name of the person and date of communication should be cited in parentheses in the text. For scientific articles, contributors should obtain written permission and confirmation of accuracy from the source of a personal communication. The commonly cited types of references are shown here, for other types of references such as electronic media, newspaper items, etc. please refer to ICMJE Guidelines ( http://www.icmje.org ). Devi KV, Pai RS. Antiretrovirals: Need for an Effective Drug Delivery. Indian J Pharm Sci 2006;68:1-6. Illustrations: Tables - Should be typed on separate sheets of paper and should not preferably contain any molecular structures. Only MS word table format should be used for preparing tables. Tables should show lines separating columns but not those separating rows except for the top row that shows column captions. Tables should be numbered consecutively in Arabic numerals and bear a brief title in capital letters normal face. Units of measurement should be abbreviated and placed below the column headings. Column headings or captions shall be in bold face. It is essential that all tables have legends, which explain the contents of the table. Tables should not be very large that they run more than one A4 sized page. Tables should not be prepared in the landscape format, i. e. tables that are prepared widthwise on the paper. Figures - Should be on separate pages but not inserted with in the text. Figures should be numbered consecutively in Arabic numerals and bear a brief title in lower case bold face letters below the figure. Graphs and bar graphs should preferably be prepared using Microsoft Excel and submitted as Excel graph pasted in Word. These graphs and illustrations should be drawn to approximately twice the printed size to obtain satisfactory reproduction. As far as possible, please avoid diagrams made with India ink on white drawing paper, cellophane sheet or tracing paper with hand written captions or titles. Photographs should be on glossy paper. Photographs should bear the names of the authors and the title of the paper on the back, lightly in pencil. Alternatively photographs and photomicrographs can be submitted as jpeg images. Figure and Table titles and legends should be typed on a separate page with numerals corresponding to the illustrations. Keys to symbols, abbreviations, arrows, numbers or letters used in the illustrations should not be written on the illustration itself but should be clearly explained in the legend. Avoid inserting a box with key to symbols, in the figure or below the figure. In case of photomicrographs, magnification should be mentioned either directly on them or in the legend. Symbols, arrows or letters used in photomicrographs should contrast with the background. Method of staining should also be mentioned in the legend. Tables and figures must be cited in the text in numerical order. Table 2 cannot be first cited before Table 1. If citation to a Table or Figure is not found in the text, the table or figure will be deleted. Symbols and abbreviations - Unless specified otherwise, all temperatures are understood to be in degrees centigrade and need not be followed by the letter ‘C’. Abbreviations should be those well known in scientific literature. In vitro, in vivo, in situ, ex vivo, ad libitum, et al. and so on are two words each and should be written in italics. None of the above is a hyphenated word. All foreign language (other than English) names and words shall be in italics as a general rule. Words such as carrageenan-induced inflammation, paracetamol-induced hepatotoxicity, isoproterenol-induced myocardial necrosis, dose-dependent manner are all hyphenated. The journal publishes exciting findings, preliminary data or studies that did not yield enough information to make a full paper as short communications. These have the same format requirements as full papers but are only up to 17 pages in length in total. Short Communications should not have subtitles such as Introduction, Materials and Methods, Results and Discussion - all these have to be merged into the running text. Short Communications preferably should have only 3-4 illustrations. Should be about 17-30 pages long, contain up-to-date information, comprehensively cover relevant literature and preferably be written by scientists who have in-depth knowledge on the topic. All format requirements are same as those applicable to full papers. Review articles need not be divided into sections such as materials and Methods and Results and Discussion, but should definitely have an Abstract and Introduction, if necessary. Below templates are made to help the contributors write their papers as per the requirements of the Journal.